This publishing adventure is quite the roller-coaster ride!! Get all excited over a 1 May publishing date... book trip to London to be there for the release and... now we've got delays at the printer... so it's due to come out on 13 May at this point. Sigh. I can't say I'm completely surprised as fellow author, David Tremain, experienced similar delays with his book on The Beautiful Spy: The Life and Crimes of Vera Eriksen. It was slated to come out in February 2019 and was repeatedly delayed... but finally hit the bookstores on 5 April. So that is the good news... it does eventually make its way through the maze! I've heard rumours that the problem is Brexit... yep... that the printers are on the continent and shipping containers are being held up at the border. Who knows... just keeping all fingers crossed there aren't any more delays! I have some promotional appointments whilst in London... going to be on the Robert Elms show (BBC Radio) on May 10 at 10:30 am. 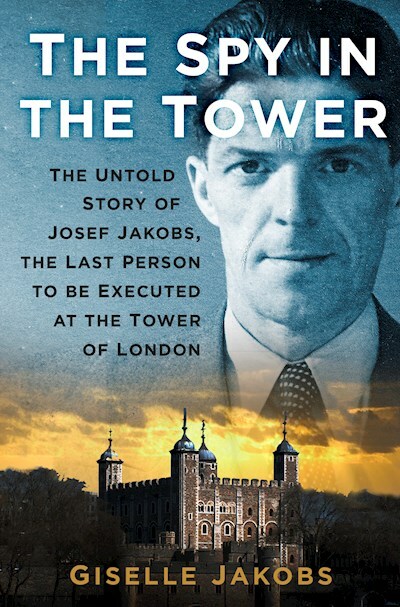 I put the publisher in touch with some contacts at Historic Royal Palaces (oversees the Tower of London gift shops) and Royal Armouries (gift shop in the White Tower)... hoping to get the book into their shops. Good news... readers outside of the UK can now pre-order a copy of the book (if you want to...) via the Book Depository site. They have free world-wide shipping! UK readers can still order via Amazon.co.uk. The marketing department of The History Press is also looking at setting up a book signing event in London in early May (when I'm over there). At this point, we're still looking good for a 1 May publication date. More details as I have them (this is becoming a standard phrase of mine). As an aside... I thought researching and writing the darn book would cover the lion's share of the work but... I'm learning something new every day! I believe the real work is just beginning. Planning to create an exclusive access "goodie-bag" for readers who purchase the book... more details later. Folks in the United Kingdom can pre-order via the Amazon link on THP website... North American audiences may need to wait... more details as I have them. Every once in a while, I chip away at lingering mysteries. A recent email exchange with Tony Percy (www.coldspur.com) about Kurt/Karl Grosse/Goose reignited my curiosity about this mysterious spy. I wrote an earlier blog post about his capture and short-lived career as a double agent but there are still many unanswered questions. It's a passenger list record from Die Maus website (Bremen passenger lists). A German gentleman named Kurt Goose departed Bremen on 1 August 1936, bound for New York and ultimately Berkeley CA where he was a student at the University of California. Kurt was 25 years old (born around 1911), single and living in Berlin. His relative was his mother, R. Goose of Hohenzollerndamm 91, Berlin. This looks pretty promising. From other information in the MI5 files, we do know that Kurt was born in 1911 in Berlin, and that he studied geology in the 1930s at the University of California. I did a bit more digging on the Berlin address books website. The address of Hohenzollerndamm 91 would be in Schmargendorf (southwest of Wilmersdorf) and the address books website helpfully allows one to search by address. Which yielded this.... A widow, R. Goose living at Hohenzollerndamm 91. This could be Kurt Goose's mother again, Rose Goose, a widow living at Kronbergerstrasse 26 (just around the corner from Hohenzollerndamm 91). She is a Generaldir[ktor?]. [I've had an email subsequent to this blog being posted, from Traugott Vitz, who suggests that as a widow, Rose would have kept the title of her husband (Generaldirektor) as it would have been quite extraordinary for that time period if the title referred to Rose]. The trail runs cold... at least for Rosa Goose. Another form of digging, this one for Kurt Goose, yielded the following gold nuggets of information from the University of California, Register 1936-37, Volume II. On page 137, there is an entry for Kurt Karl Goose, in the list of graduate students for U.C. Berkeley. On page 414, of the same volume, there is a supplementary list which has his name again. 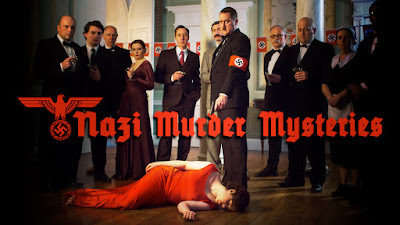 The Yesterday Channel (UK) aired a six-part series entitled "Nazi Murder Mysteries" late last year. The fifth episode aired in early December. I have to say, I really didn't know a lot about Hermann Goering prior to watching this episode. I knew that he was head of the German Luftwaffe and that he escaped the hangman's noose after the Nuremberg War Crimes trials by taking a cyanide capsule, but that was about it. The truth, however, seems far more complex and interesting! He was apparently a drug addict and managed to give quite a capable defence at the war crimes trials. This episode of Nazi Murder Mysteries obviously focuses on the mystery of Goering's death. The American investigation concluded that Goering had had the pill hidden on his person. But that conclusion simply raises more questions. How did Goering manage to hide a cyanide capsule from his captors for so long? Surely the Allies knew about the Nazi penchant for hiding cyanide capsules in false teeth? For years, rumours have swirled that one of the American guards smuggled a capsule to Goering. Was there any truth to those rumours? Interesting episode which opened up the question of Goering's suicide. 4.5 out of 5 - well done. This blog schedule has been a bit disrupted of late. I normally try to have things pre-posted several weeks in advance but... circumstances sometimes intervene. A few weeks ago, Josef's last surviving child, my father, Raymond Jakobs, passed away at the age of 86 on the west coast of Canada. My Dad lived a long, full life and was extremely excited about my book on Josef. Raymond was only 9 years old when Josef left on his espionage mission and never really knew what happened to him. We had hoped that my Dad might make it to May and see the book in print, but such was not to be.